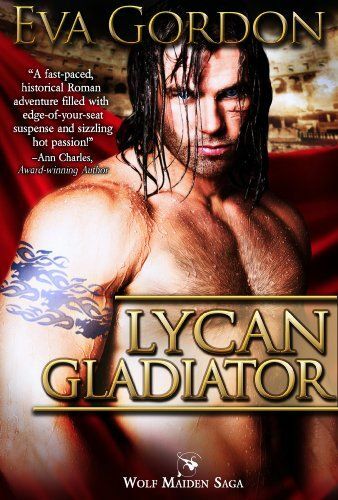 During a time of bloody gladiator games and treacherous schemes, a secret society of lycans live amongst the Romans.When Ulric, a lycan gladiator, meets a mysterious human woman with green eyes, he’s drawn to her fiery beauty, enraptured by her alluring aroma. Unfortunately, Ulric and the beauty are slaves. To make matters worse, he can mate only with someone marked with the sign of the wolf.Cassia’s hidden wolf mark burns in the presence of the handsome gladiator. While her heart yearns to be near Ulric, logic warns her against it—having a slave as a mate is against the lycan society’s plans for her.In spite of the lycan society’s rules and the emperor’s brutal plots, their love grows … but their passion just may cost them their lives.